Who says you have to go totally cheesy when dressing your tot up this Halloween? With just one yard of fabric and a few pieces of felt, you can easily turn her into the most stylish superhero in town. And the smallest one ;) We teamed up with Velcro Industries and JoAnn Fabrics to create this easy last-minute Halloween costume, perfect for mini fashionistas. Trace template onto felt and cut out. Measure your child's head and cut a piece of ribbon to that length. Use a sewing machine to attach to mask. Cut ribbon in half and stick VELCRO® Brand Sticky Back for Fabric onto either side. Measure your child's waist and add 2 inches to that measurement. Fold fabric in half and cut out a rectangle that is the length of the waist measurement and about 1 inch thick. With good sides facing in, sew around the perimeter of the rectangle leaving one end open to be able to turn the belt right-side out. Trace the star template onto two different pieces of felt. Cut out one star slightly smaller than the other star. Sew the star on top of the open end of the belt. Then sew the smaller star on top of the bigger star. Place VELCRO® Brand Sticky Back for Fabric on each end of the belt. Our little one had a waist size of 20 inches so we measured 22 inched by about 1 inch. Leave the top open so you can turn the belt right-side out. Cut out the star and trace onto red and blue felt. We cut out the blue star slightly smaller so we can layer them on top of each other. Sew the star onto the open end of the belt. Then place the smaller star on top and sew the perimeter. Attach VELCRO® Brand Sticky Back for Fabric to the ends. 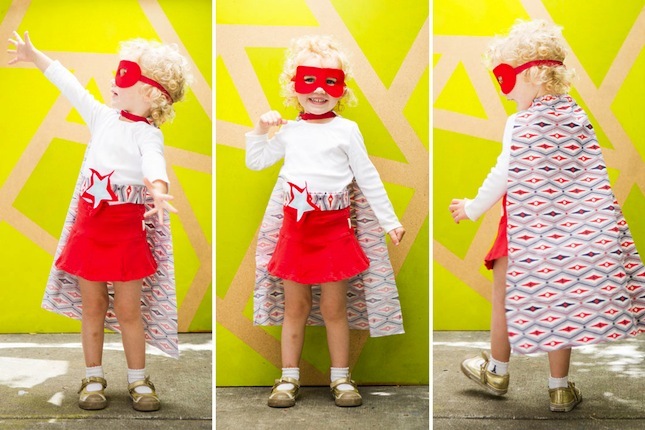 Your little one is now two steps closer to being a superhero! Measure half the length of your child's shoulders. You will use that measurement for the top of the cape and then double that measurement for the bottom edge of the cape. Also measure your childâ€™s back. The cape should hit right at their knees. Fold your fabric in half and mark your first shoulder measurement. Mark their back measurement down the fold of the fabric and then the bottom edge measurement. Connect the lines to form a diagonal. Cut out your cape, fold the top edge over to create a seam. 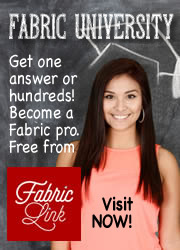 Cut a piece of ribbon, feed it through the seam and attach VELCRO® Brand Sticky Back for Fabric to the ends.